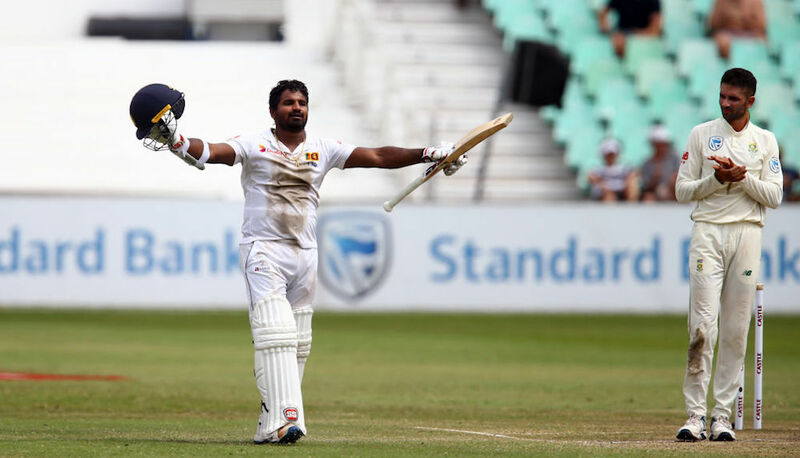 Kusal Perera (153) farmed the strike superbly in playing one of Test cricket’s great innings to take Sri Lanka over the line for a thrilling one-wicket win at Kingsmead. KHALID MOHIDIN reports. The first Test between the Proteas and Sri Lanka was a true seesaw affair. Very much like the Pakistan series, the bowlers starred throughout the match, their wickets swinging the momentum consistently in favour of their sides. Day one was Sri Lanka’s day. They bowled the Proteas out for 235 and ended the day’s play on 49-1, although Quinton de Kock starred on the day with 80. The Proteas fought back well, and on day two an incredible bowling performance from Dale Steyn (4-48) helped the Proteas skittle Sri Lanka for 191. After a comeback surge from Sri Lanka, the Proteas ended the day on 126-4, with Faf du Plessis and De Kock in pole position to save the Proteas after a top-order collapse. They managed to see off an aggressive attack from Sri Lanka in the first session but collapsed after lunch, Du Plessis’ wicket on 90 sparking a flurry of wickets that saw the Proteas lose five wickets for eight runs. The Proteas did, however, manage to set a target of 304 and Sri Lanka began their chase. Towards the end of day three, the Proteas climbed back into the visitors as despite a solid start, the Proteas knocked them down to 83-3. This set up a difficult day four for Sri Lanka. The first hour saw the visitors score 44 runs, but more importantly for the Proteas, Steyn took two crucial wickets to reduce Sri Lanka to 110-5. The Sri Lankan pair of Kusal Mendis and Dhananjaya de Silva showed steel on a pitch that became more conducive to batting as the wicket flattened out. They went into lunch with their partnership on 56, having seen off the initial fire from Steyn. The pair continued to power Sri Lanka closer to their victory target of 304 as panic started to creep in for the hosts. The Proteas went up in celebration appealing for leg before when De Silva (48) went after Keshav Maharaj after missing his sweep. It was given not out, but Du Plessis reviewed the decision and the on-field umpire’s call was overturned to break the 96-run partnership. Maharaj followed this exquisitely by finding Lakmal’s edge with his next delivery, Du Plessis taking a vital catch low down in the slips. This swung the pendulum in the Proteas’ favour as Sri Lanka were reduced to 206-7. 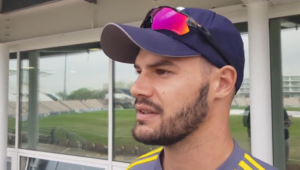 Duanne Olivier banged in his specialist short delivery down leg and Lasith Embuldeniya gloved it to Aiden Markram at short leg. Maharaj (3-71) proceded to pick up his third wicket when he removed Kasun Rajitha lbw for one. This reduced Sri Lanka to 226-9. Perera farmed the strike to score a remarkable career-best 153 and take Sri Lanka over the line. His astonishing innings came off just 200 balls with 12 fours and five sixes. His partnership of 74 for the 10th wicket with Vishwa Fernando was also the highest successful 10th wicket partnership for a team batting last in the history of both Test and first-class cricket.